Are Serena Williams And Her New Coach More Than Friends? It appears that Serena Williams may have found a new love interest. Fresh from her win at the US open this past Sunday, the Washington Kastles tennis player and her new coach, Frenchman Patrick Mouratoglou, have been spotted in the streets of Paris being cozy with each other. According to Yahoo! Sports, Serena was pictured with her hand in Mouratoglou's back pocket while they were looking at international properties in a storefront window. Mouratoglou owns the Mouratoglou Tennis Academy in Paris, France. 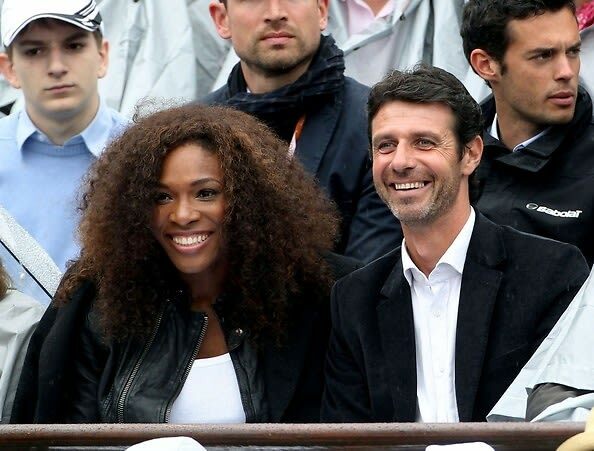 Williams and Mouratoglou started working together after her first round exit at the French Open this past May. Since their union, Serena has been wining tournaments left and right (Wimbledon, the Olympics, the US Open). Judging from the pictures, their union seems to be more than just platonic. Here's to more wins for Serena in her professional career and personal life!